Occasionally I write articles in what I call, “the blogs that are going to make some people mad” series. I am pretty sure this is one of those blogs. When I was serving at the Southeastern Jurisdictional office at Lake Junaluska I had the opportunity to travel the nine southeastern states, as well as across the United States part of the connection. I recognized a trend that was somewhat disturbing, though typical in the “business world.” I noticed that many episcopal leaders were handpicking and fast-tracking young clergy persons (predominately young men) from seminary straight into large churches. Sometimes they would be put on staff but increasingly their first full-time appointment would be to a multi-staff large church in an urban area. Now don’t get me wrong, I’ve read Good to Great so I understand about putting the right person in the right seat on the bus. Some of these young men have done extraordinary work and I think it is a bold prophetic witness to make these moves. However, I do have a few reservations about this practice. Essentially I believe that every future elder would benefit from at least one appointment of two or three years in a small church charge to help them gain perspective. This would allow them to understand where most United Methodists worship; what its like to be a solo-staff person; give them the experience of being in a resource challenged environment; experience the pressures of most of the pastors in our connection; and help them understand the financial sacrifice people in small church charges make to provide ministry in their areas. This two-three years assignment would be similar to the practice of allowing any young professional to get real-life experience in “the field” before they land in the big corner office with the view. They need to understand where 70% of The United Methodist Church worships. At the end of the day an overwhelming majority of churches with the name United Methodist on the sign are small, rural charges with less that 100 in worship each Sunday. The young clergy that will be making decisions in the large churches of our conferences and leading our annual conferences need to spend time in those churches so that when decisions are made they have a feel for the “grassroots” of our denomination. When discussions arise, as they inevitably will, about closing small churches or having a neighboring larger church adopt them into their fold, they will be able to speak with credibility and pastoral concern to the faithful people remaining in those local churches. They need to experience what it is like to serve in a resource challenged environment. Recently a young clergy person was lamenting about having to share a hotel room at an upcoming national conference because there wasn’t enough money in the budget for single rooms for each of the staff. I reminded him that for most of our churches the annual continuing education budget was less than the cost of registration for the conference, not to mention the cost of lodging, meals, and travel that he would incur. Experience in a resource challenged environment is a valuable source of knowledge not taught in seminaries or learned on the staff of a large church. Sitting through a meeting to determine which bills to pay and whether they can actually afford Vacation Bible School material is an eye-opening experience for many young clergy who tend to come from large, well-funded program churches. They need to experience the pressures of most of our pastors. In addition to the above reasons, spending a few years in a small church or charge will allow our future leaders to understand their colleagues who have served in big ways but in small places. There are unique family, financial, and relational pressures that come with serving these size churches that cannot be fully understood if you spend your entire ministry in a large, urban environment. Since most of these young clergy may well end up as denominational leaders, district superintendents, and even bishops one day, the ability to fully understand the pressures of the small parish would be invaluable to them as leaders. They need to understand that the financial backbone of our denomination is faithful people giving sacrificially. I know the statistics, I’m familiar with the pie charts, large churches carry the weight of the financial burden for our denomination. No one can ignore their fiscal importance., but there is another story that also needs to be told. That is the story of a dozen faithful families who tithe faithfully to their small church and carry the fiscal and spiritual burden for serving communities that would otherwise go unserved. The realization that every person is vital and every gift is a “major” gift in the small parish will serve our future leaders well when they are doing large annual campaigns to raise hundreds of thousands of dollars to fund ministry. I am in my final semester of seminary and will likely be appointed to a small, struggling church. I will pledge my faithfulness to our church and look forward to serving whomever and wherever I am called to. I see many issues raised in this post, not least among them is pride, that I won't address. I'd like to question your central proposition. I hope you don't find that presumptuous. If I understand you correctly you believe "(young clergy) need to understand/experience" pastoral life in a small church so that they gain perspective for when they later make decisions that affect smaller congregations. Do I understand you correctly? If so, I don't see how that perspective necessitates removing someone from perhaps their most innovative years in order to receive the humbling that you perceive as necessary. The future of the United Methodist Church does not look like the present of the United Methodist Church. A third or more of our current congregations will close before new clergy begin to be perceived as eligible for denominational leadership. I believe I am called to plant new worshipping congregations. I'd like to do that, for at least part of my time as a pastor, in semi-rural contexts. As a resident of one of the four most rural states in the country I'll have plenty of opportunity for that. I'm doubtful that such a practice, would be helpful to our denomination. I do know that in past years it, and the seniority system it was tied to, actually helped drive many young clergy out of the pastorate. Do you see any negatives to your proposal and/or do you feel the perspective gained necessarily outweighs them? I think what you've shared here has much to offer. I might also add that background of the pastor makes a big difference. 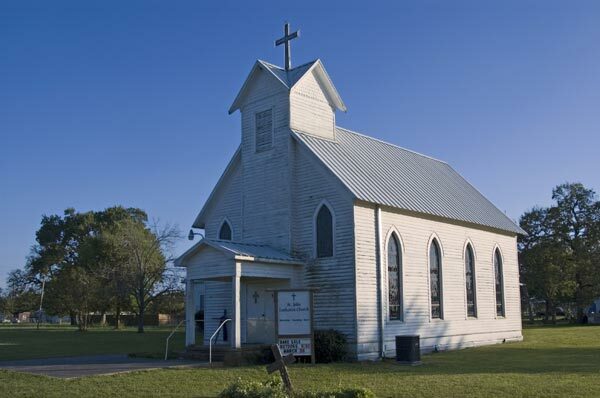 I, for instance, came from a relatively rural small town, then served in relatively rural/ small town field educational opportunities and then started my ministry in a rural, small town setting. I think there are similarly good things to learn from a setting of empowered teams, equipped laity, resourced programs and mutual support that come from multi-staffed ministries that would have proven as helpful experience as a young pastor when I was coming along. Experiences like that have come my way, but I would have loved to have had them much earlier in my ministry to help me learn some important lessons that took longer to come to me. Some of those lessons have resonated with my strengths and dreams, but I did not always have the tools to carry them forward. John, I'm not sure if I understood exactly what you were driving at. Which practice that you aspire to gives you doubt that it would be beneficial to the denomination? As far as negatives for Marty's proposal, how does adding a new ministry perspective to the toolset for young clergy- even if it is to help them clarify their strengths and their calling away from a particular ministry setting- turn into a negative that might drive young clergy away? Do not other fields of calling ask people coming into that field (I'm thinking especially of doctors, for instance) to experience a wide variety of settings before asking them to narrow their field of focus? Perhaps it is only my experience, but I've heard many talk about young men and women who left ministry after being placed in tiny dying churches, often in circuits, that they had little in common with and had little or nothing to do with their gifts. Perhaps that is exaggerated as I only know one person directly who left ministry after being assigned to churches that had little interest in his focus on serving the poor. Have you not seen something similar? I am willing to be wrong about this. It's interesting that you bring up doctors. Their process of residency is pretty awful leaving new doctors overwhelmed and sleep deprived to work on patients. I see the way it is structured as a kind of hazing. Older doctors assume that since they had to go through it new doctors should too. I believe there is an element of that in longer-term clergy perspectives. There is a view that people ought to wait their turn. This ignores calling to a degree and at its worst is manifest in seniority systems that elevate people based on longevity over leading of the Spirit or gifts. I believe that when someone proposes something, in this case Marty suggests that all new clergy serve a small and usually struggling church, that the burden is on them to prove the value. That's why I asked Marty the question. Paul, my question to you is to challenge your assumption that this experience would have inherent value. My assumption, as noted above, is that the church as it is, is not how it soon will be. / To take the medical field, since you brought it up, would it make sense for a future heart surgeon to be required to spend two or more years first studying surgery of the feet?